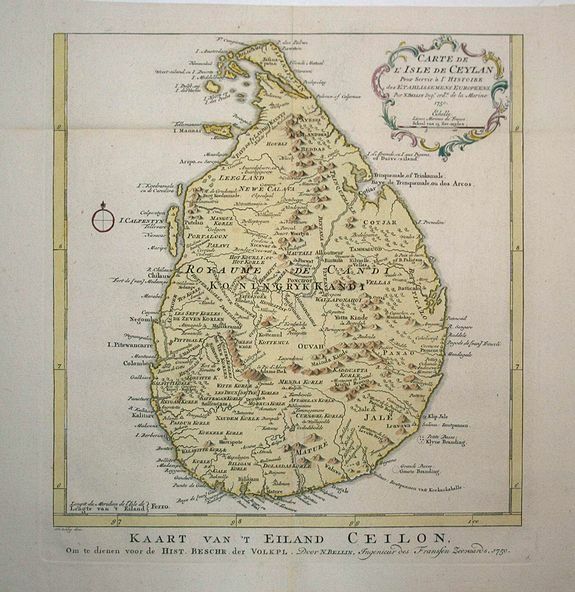 Title : Carte de l'Isle de Ceylan . Map maker : BELLIN,J.N./Van Schley. Size : 9.8 x 9.4 inches. / 25.0 x 24.0 cm. Description :Detailed copper engraved map of the island with good detail inland of mountains, rivers, towns and villages. Rococo-style cartouche and a simple compass rose accent the map. Condition : Very good, with folds as issued.